The Bradman Lake Group Ltd is a leader in packaging equipment solutions, incorporating the world-renowned Autowrappers, Europack and Ibonhart brands, and is an innovator of flexible automation using parallel axis robotics technology. In September 2017, Bradman Lake acquired the business and operations of Ibonhart (Norwich) Ltd, a specialised and innovative manufacturer of bread and baked goods bagging, slicing and packaging machinery to expand Bradman Lake’s product offering to the bakery sector. Established in 1948, the Bradman Lake Group Ltd is a leader in integrated packaging technology. 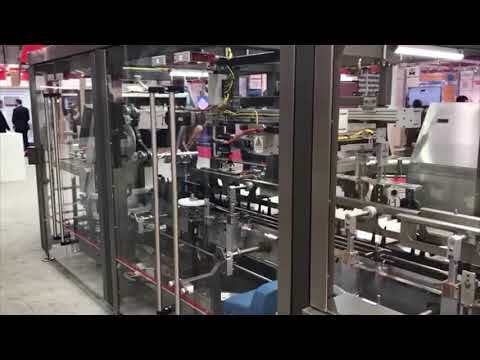 From distribution systems and feeding systems﻿, flow wrapping machines, cartoning machines, robotic product loading to case packing machines, shrink wrapping machines, palletisers and roll wrapping machines, Bradman Lake’s solution based approach is gained from thousands of installations around the world. Bradman Lake is located in the UK and USA with regional offices in Russia and India, and is a wholly owned subsidiary of the privately owned UK based industrial group Langley Holdings plc.